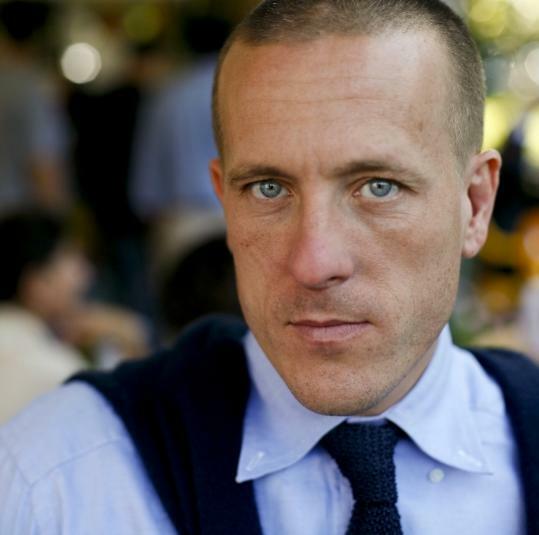 Photographer Scott Schuman, who launched the Sartorialist website, said people like to live vicariously through his images. His photos are now available in a new book. Shortly after defecting from the world of fashion sales and marketing, Scott Schuman picked up a camera and began photographing people on the street. In 2005, with no formal training in photography, he launched the website the Sartorialist (www.thesartorialist.com), documenting the personal style of the well-dressed denizens of New York, Paris, and Milan. The site now logs more than 125,000 hits a day. Schuman also shoots for magazines such as Elle, Paris Vogue, and GQ. Simply put, he’s the godfather of street-style fashion blogging. Late last month, he published his first book, also called “The Sartorialist’’ (Penguin Books), with nearly 500 photographs of stylish subjects. Last week he checked in with the Globe from Paris, where he was - you guessed it - looking for chic folks to photograph. Q. What is it that draws you to your subjects? Is it always the clothes? A. It’s usually an intangible quality. It could be their posture, their hair, or their clothes. Usually it’s a combination. They don’t have to be dressed fashionably. A lot of older Italian guys have a fantastic way of carrying themselves which I’m drawn to. It’s not necessarily that you want to dress like them, but they have an idealized way of standing. It can be romantic in its own way. Q. Are there photographers who have influenced the style of your work? A. I really like pictures from August Sander. You can go back and look at pictures from that time and it tells you something about that period. I’m hoping my photographs will fill a similar role. The fact that people can make comments about [them] on the blog is going to tell people 100 years from now what we were thinking. How we felt about smoking or fur. And how people felt about flip-flops, which are surprisingly divisive. Q. I noticed that you don’t write much about the photographs that you take on the blog or in the book. A. I would like to write more, but I really have to get into the right frame of mind to write. It’s not as easy as taking a photograph. When it’s really crazy during fashion show season, I just don’t have the time to write the way that I want. Q. Do you think the popularity of your site is based around the fact that we’re all basically voyeurs?